Ross joined Watsi on September 19th, 2016. Two years ago, Ross became the 2346th member to automatically support a new Watsi patient every month. Since then, 2,740 more people have become monthly donors! Ross' most recent donation supported John, a man from Malawi, to fund prostate surgery. Ross has funded healthcare for 32 patients in 10 countries. 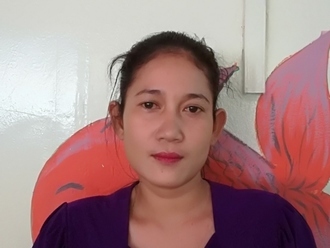 Srey Mech is a mother of two from Cambodia. She sells clothes at a shop. She has two sons. She likes to go for walks and watch TV. Fifteen years ago, she fell down and broke her hip. She had a hip replacement surgery, but now it needs to be replaced because she has been in chronic hip pain for the past two years. She cannot walk. Fortunately, Srey Mech learned about our medical partner, Children's Surgical Centre. 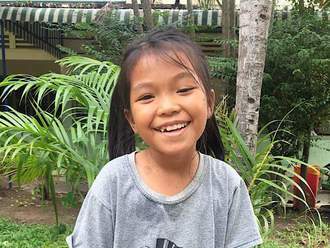 At CSC, surgeons can perform a total hip replacement to relieve Srey Mech of her pain and allow her to walk easily. 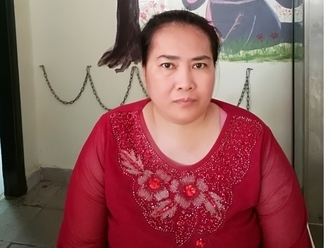 Treatment is scheduled for November 7, and Srey Mech needs help raising $1,025 to pay for this procedure. She says, "I really hope I won't be in pain and will be able to work after the operation." Simon is a child from Kenya. He is the only child in the family. Simon was born with hypospadias, a congenital abnormality that causes urinary dysfunction. Without treatment, he will continue to experience uncomfortable symptoms and will be at risk of infertility. Fortunately, Simon is scheduled to undergo corrective surgery on October 4. 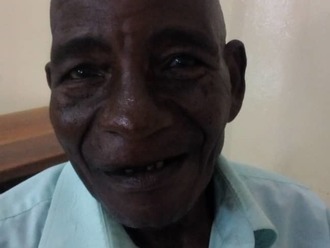 Our medical partner, African Mission Healthcare Foundation, is requesting $676 to cover the total cost of his procedure and care. 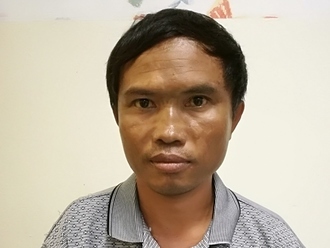 Heang is a rice farmer from Cambodia. She has two sons, five daughters, and ten grandchildren. She likes to listen to monks pray on the radio. 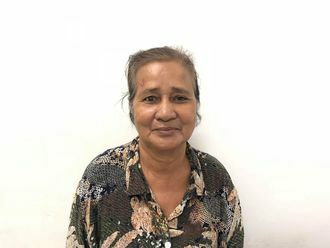 Eight months ago, Heang developed a cataract in each eye, causing her blurry vision, burning, tearing, irritation, itchiness, and photophobia. She has difficulty seeing things clearly, recognizing faces, and going anywhere outside. When Heang learned about our medical partner, Children's Surgical Centre, she traveled for ten hours seeking treatment. On September 5, doctors will perform a phacoemulsification surgery and an intraocular lens implant in each eye. After recovery, she will be able to see clearly. Now, she needs help to fund this $398 procedure. She says, "I hope my vision is clearer than now so I can help my family to do work at home and take care of my grandchildren." Esther is a single mother of two from Kenya. She is under the care of her mother because she has epilepsy. Esther has been diagnosed with breast cancer. Without treatment, the cancer may spread to other organs. A mastectomy, a surgery to remove breast tissue, has been suggested to rid her body of breast cancer and to prevent the cancer from metastasizing. Our medical partner, African Mission Healthcare Foundation, is requesting $816 to cover the cost of a mastectomy for Esther. The procedure is scheduled to take place on August 8. After treatment, Esther will hopefully return to a cancer-free life. Esther says, “My hope is to be treated and help my mother raise my children."